Granted I still bought the 3DS last May in my excitement for the release of Star Fox 64 3D in the following September. So I guess my excitement for new hardware has increased and I'm ready on the handheld side of the business. But, has my opinion changed on wanting new home consoles? No, not one bit. Nothing I've heard about the Wii U is changing my mind. Sony and Microsoft don't even need to release a new home console either. Nintendo needs to, but not Sony or Microsoft. That is of course a completely different topic for another time. So let me get back to the Vita. First things first, the dual analog sticks are actual sticks. They are small, but they are responsive and sensitive in all directions. So despite the size of the sticks they handle very well. My time with the system was about forty-five minutes long and the longer I played the more my hands started falling into their positions around the system. One of the natural things (for me) happened when I first picked up the brand new PlayStation device. My fingers went all over the place (became natural after using the Dualshock controllers for over 16 years) so I was holding the Vita along the track pad on the back and that is a no-no with this design. Of course not every game uses the back track pad, but when playing games like WipeOut 2048 and Gravity Rush I wanted to use the system like it was meant to be used. Over my time I went from all over the place, to comfortably holding/gaming on the system using the designated grips on the back and my thumbs resting nicely on the analog sticks. Throughout my entire time with system in my hands, they never cramped up. Next up is the screen. It's big, crisp, responsive and gorgeous. I could not believe how durable this 5-inch OLED screen felt. It was wonderful playing WipeOut and Uncharted on PS Vita because the games ran smoothly. WipeOut had no lag despite all the fast-paced action that was going on everywhere; and while Uncharted: Golden Abyss was a little laggy when the game was introducing me to the level I was about to play, but that lag went away when I took control. Both of these games are incredible graphically and show off the screen wonderfully. One thing that surprised me was how lightweight the PS Vita is. When I saw it in person I expected it to be fairly heavy. So I almost lost my grip and threw it when I picked it up from the stand it was on. Once I have my Wi-Fi unit I will do a comparison between the Vita and the 3DS for weight. 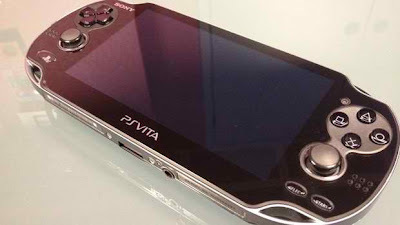 As of right now I believe the Vita is lighter than Nintendo's 3D machine. The track pad on the back of the Vita is the same size as the front facing touchscreen. It was also incredibly responsive just like the touchscreen around the front. Only Little Deviants used this for my time with the Vita, but in that game I had to do several things that wasn't even part of the game to test out how good the track pad was. The reason for me having to do that? Little Deviants was very bad. I don't know if it was just the demo, but when trying to do things in the game I was always getting caught on everything. In addition to that it was very laggy and unresponsive while trying to do what the game was asking me to do. I might have just sucked at accomplishing the goals set in LD, but I think it was the game itself. Unfortunately the unit I was gaming on wasn't able to output audio. I'm not sure why that is, but with that I can't give any impressions on how the games or trailers that were pre-loaded on the unit itself sounded. Sorry. Overall I believe Sony has struck gold with the Vita. If you've been following the systems early life in Japan you'd think the system was doomed. However there isn't really a title out there that sells systems yet in the unique Japanese market yet. Uncharted, WipeOut, Ultimate Marvel vs. Capcom 3 and LittleBigPlanet Vita will be the system sellers in the North American and European markets. 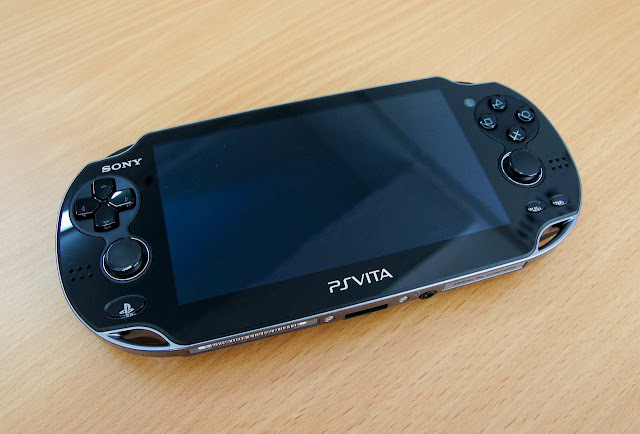 With the Vita selling very well here I'll be able to test out some online functionality and compare the 3DS and PSP to it. At my conclusion I'm very impressed with the Vita.